Woodland caribou on Michipicoten Island, Lake Superior. Credit: photo by Christian Schroeder. How has climate change affected the movements of two iconic species of the northern forest: woodland caribou and common loons? These species were once widespread in the Upper Great Lakes region, but habitat change, toxics, and over-hunting decimated their populations by the early 20th century. I am currently preparing a series of lectures on these topics for the 2019 Mandel Lectures in the Humanities at Brandeis University in Spring 2019, which will be revised into a book to be published by University Press of New England. Different human cultures have developed complex relationships with mobile wildlife, and those relationships are being rapidly transformed as climate change alters migrations. How have the relationships between humans and other migratory animals been influenced by climate change? How do animal migrations influence the mobilizations of toxics into distant spaces, and how does climate change in turn affect animal mobility? Can understanding historic relationships with these migratory species help us negotiate more sustainable futures in the anthropocene? I argue that as climate change alters migrations, predation, and exposure to contaminants, management efforts need to change as well—yet the historical legacies of earlier management ideas may constrain options if we fail to critically examine those legacies. Woodland caribou: Woodland caribou were once widespread in the upper Great Lakes region, but they are now ghost species throughout their former Lake Superior range. The last remnant population was almost extirpated in the winter of 2018. Wolves made it onto key caribou island refugia in Lake Superior during in the cold winter of 2013-2014. Within two years, a population of nearly 1600 caribou on two islands crashed to mere dozens of individuals on a single island. The Ontario Ministry of Natural Resources and Forestry initially refused requests to cull wolves or move caribou to wolf-free islands. 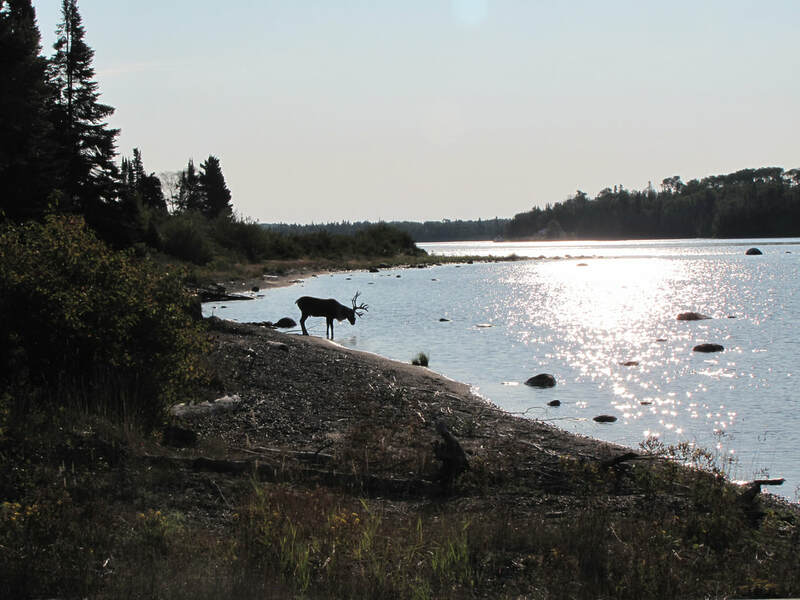 Efforts by the Michipicoten First Nations community led to a last-minute translocation project that, for now, means the woodland caribou of the Great Lakes still persist. Why was the Ministry so slow to respond? Ideas of natural equilibrium and the balance of nature played a role, in addition to a perception that climate change would doom the caribou, so acting to save them was pointless (Langston 2018). Americans typically imagine caribou as creatures of distant wilderness, a remnant of primeval nature that was irrevocably lost to industrialization. Woodland caribou, in this discourse, need untouched wilderness and will be doomed by climate change and the Anthropocene. These beliefs are powerful, but they are flawed—and they let agencies avoid taking pragmatic actions today to restore woodland caribou. There’s nothing inevitable or mysterious about the demise of woodland caribou. Specific policy decisions led to their declines in the 20th century, and reversing those policy decisions has the potential to lead to their rebound, but not if we continue imagining woodland caribou as creatures of an untouched forest. Current rhetoric about woodland caribou mirrors the rhetoric of early conservationists in the late 19th century. As Teddy Roosevelt argued in 1902, “it would seem the race must become extinct in a comparatively brief period” (pg. 39). In the 1930s and 1940s, that discourse changed with the emerging science of wildlife biology. 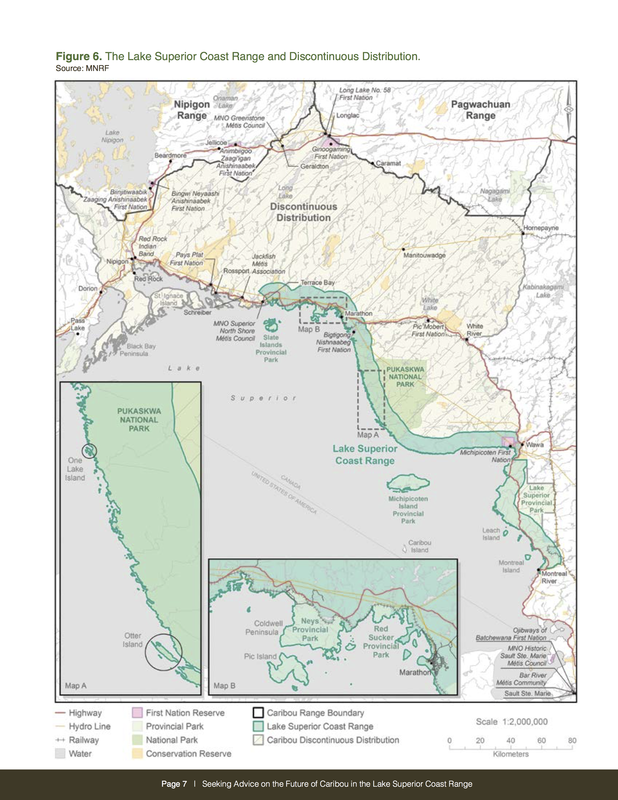 Aldo Leopold advocated for Isle Royale in Lake Superior to be protected as a national park to sustain the remnant woodland caribou herd on the island (Leopold 1931). The Canadian mammalogist A. W. F. Banfield began field studies soon afterwards in northern Canada, intent on reversing population declines, not just mourning them (Sandlos 2007). North American wildlife biologists of this era identified excess predation (both human and non-human) as the cause of declines, rather than habitat loss. While they understood that mines, railroads, and logging brought more hunters and more wolves into caribou territory, they rarely recommended controlling industrial development. Instead, they focused their research and policy efforts on two main agents that could be controlled without threatening development: Indigenous hunters and wolves (Loo 2006; Sandlos 2007). 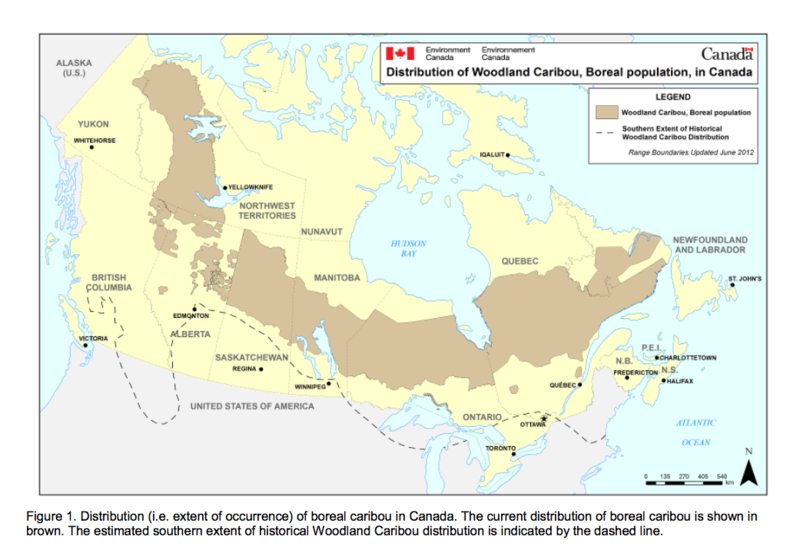 Efforts to sustain woodland caribou shifted to restoration programs in the 1930s, but forest industrialization severed caribou migration routes. A few herds of caribou persisted in Minnesota into the 1930s, and state agencies attempted the first of a series of translocation projects, bringing caribou from Saskatchewan to rebuild Minnesota populations. Yet the biologists did not have the policy tools to address the increasing fragmentation of caribou migration corridors by energy development across the Canadian border, and restoration failed. ​Beginning in the early years of the 21st century, industry, agency, and environmental discourse framed caribou as uniquely vulnerable to climate change, implying they were not worth the effort to protect or restore. Yet woodland caribou thrived during the last period of rapid warming, surviving the Pleistocene transition, unlike most other megafauna. Caribou experience little thermal stress as temperatures warm, and they browse a wide range of possible foods in a variety of habitats. In other words, they are resilient. When agencies talk about them as too vulnerable to be sustained in the Anthropocene, it becomes a self-fulfilling prophecy. I argue that in the Anthropocene, we may need to rethink assumptions about the need for continuing human stewardship of migratory wildlife. Woodland caribou on Michipicoten Island, Lake Superior. Credit: Christian Schroeder. Common Loons A journalist for National Geographic writes, “For many North Americans, loons are a much-beloved bird, symbolizing the solitude of the deep-woods wilderness with their distinctive, haunting wail that echoes over the northern lakes where they breed in summertime.” (Guynup 2003). These beliefs about solitude, remoteness, and wilderness hinder loon restoration as they hinder caribou restoration, making it difficult for the public to understand the ways that urban decisions about coal combustion and air pollution affect loon populations thousands of miles away. Several decades ago, scientists noticed declining populations of loons across the upper Great Lakes. Local communities partnered with researchers to protect nesting loons from local powerboat disturbances and predation. These efforts helped stabilize the population in some lakes, but such efforts alone cannot reverse their decline, which stems from processes driven by distant rather than local actions. 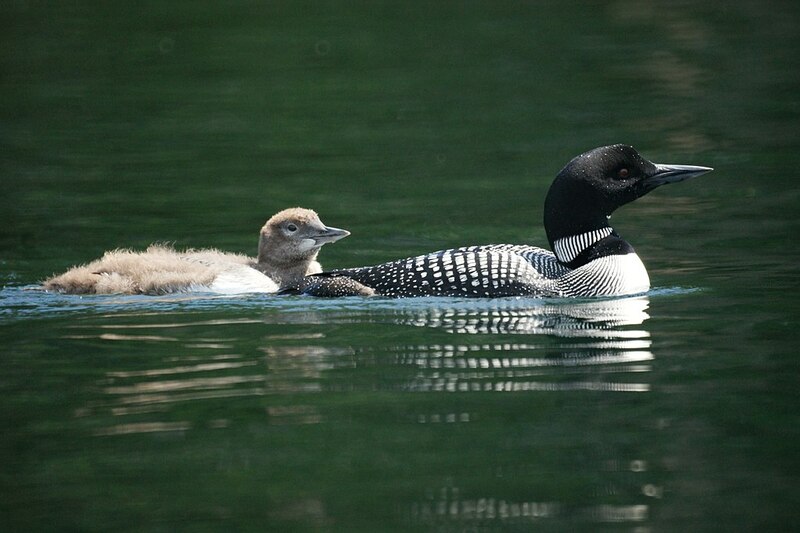 Acid rain caused by industrial emissions of sulfur dioxide and nitrogen oxides lowers the pH level of lake water, disrupting food webs that sustain loons. Airborne mercury emitted by coal-fired power plants in North America and China falls into the lakes and settles in the bottom sediments. Bacteria in the lake transform it into methylmercury, which then moves up the food chain into common loons and people. Warming lakes and acid rain both both increase the effective exposure to mercury (Tozer et. al 2013a, 2013b). Researchers have found levels of methylmercury in common loons that are “some of the highest levels in living animals anywhere in the world," (Guynup 2003). Historical legacies are key to understanding continuing contamination in wildlife. 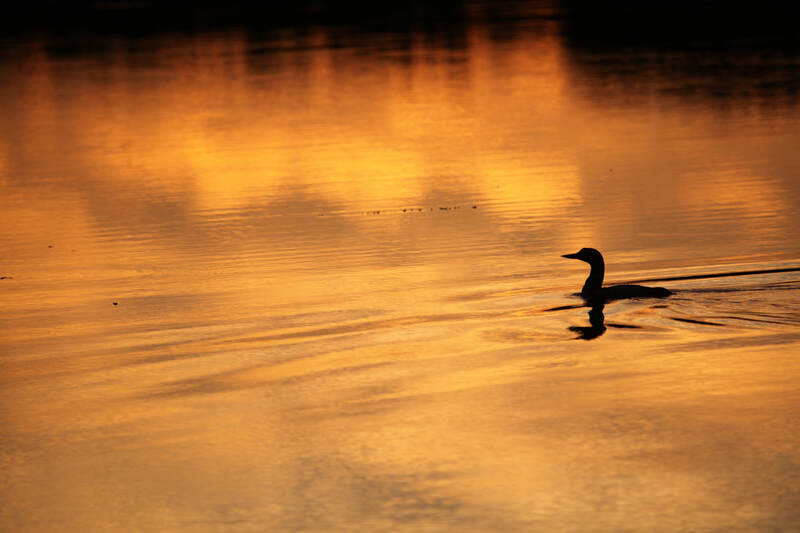 For example, botulism, which can cause dieoffs in adult loons, had declined in the Great Lakes by the early 1980s, but it returned to Lake Huron in 1999 and by 2006 reached Lake Michigan. The culprit is zebra mussels and quagga mussel, whose populations benefit from climate change (Barcott 2013). Mercury legacies are also significant. After steeply rising during the 20th century, current emissions are declining, yet “deposition of these pollutants remains well above both historical inputs and the amount deemed safe for aquatic wildlife. As of the mid-1990s acid deposition still exceeded critical levels in as much as 75% of eastern Canada,” (Tozer et al 2013b). Methylmercury levels within loons continued to increase in some locations well into the 2000s, for reasons that remain unclear. This project aims to elucidate those historic legacies. Translocating woodland caribou to the Slate Islands, Winter 2018. Credit: Christian Schroeder.